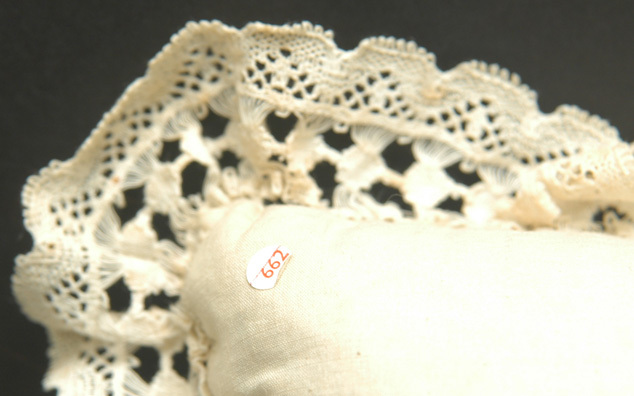 This is a lovely pillow with ivory silk on the front and a cotton back. 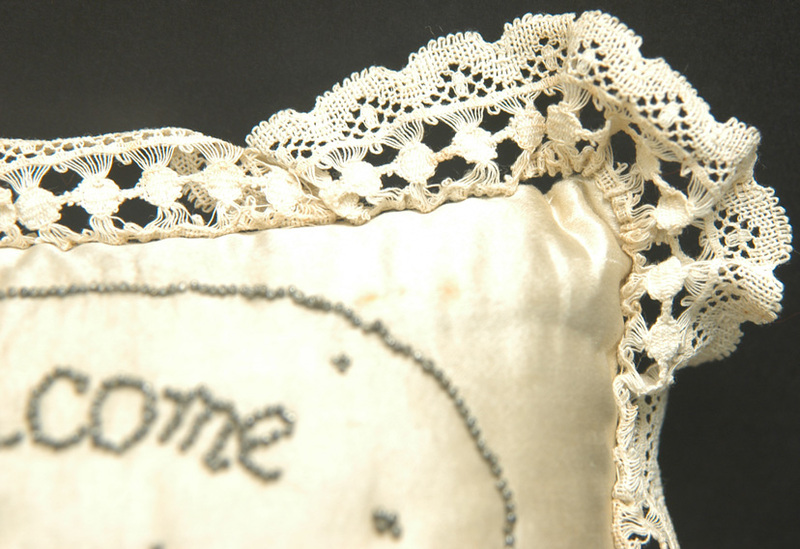 5” x 6 ½” plus the lace edge. 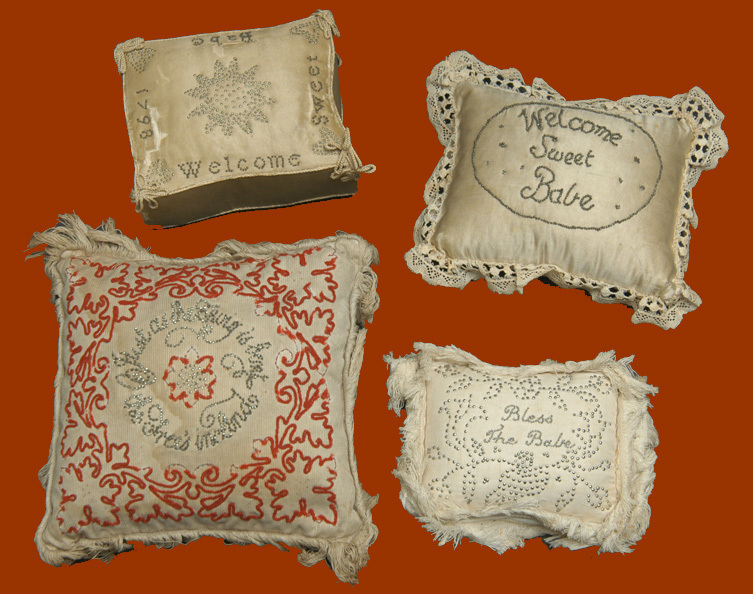 The pin decorated inscription “Welcome Sweet Babe” is surrounded by an oval border and includes some pin decoration within the oval. 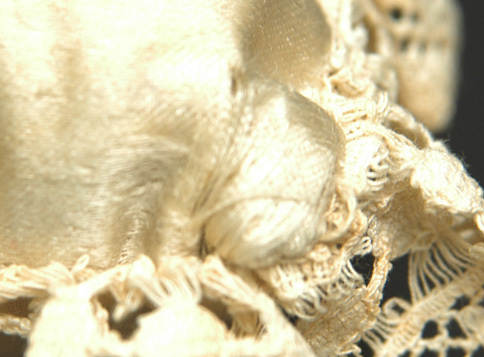 It has a tatted lace edge. The silk is just starting to shatter in some places, but just barely. The shattering is not noticeable except upon inspection and the stuffing is tight and safe. 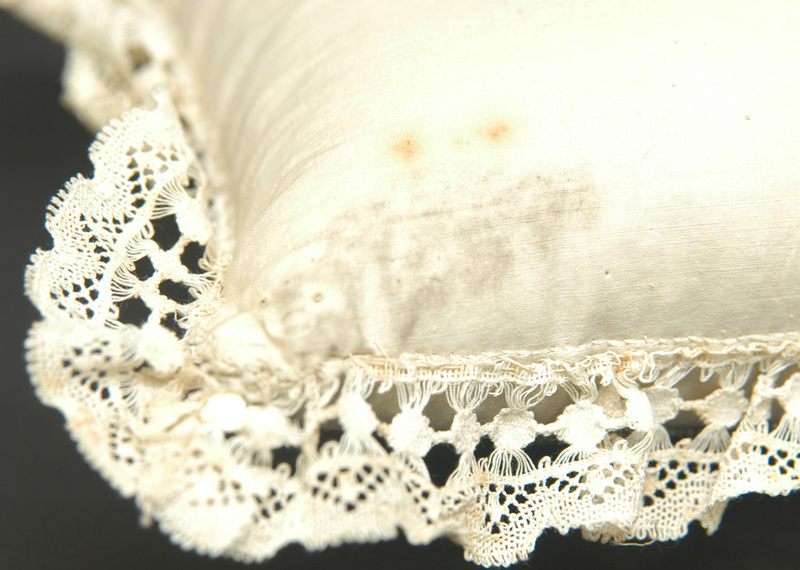 There are two very light stains on the front but I didn’t see these stains until inspecting the pillow under strong light. 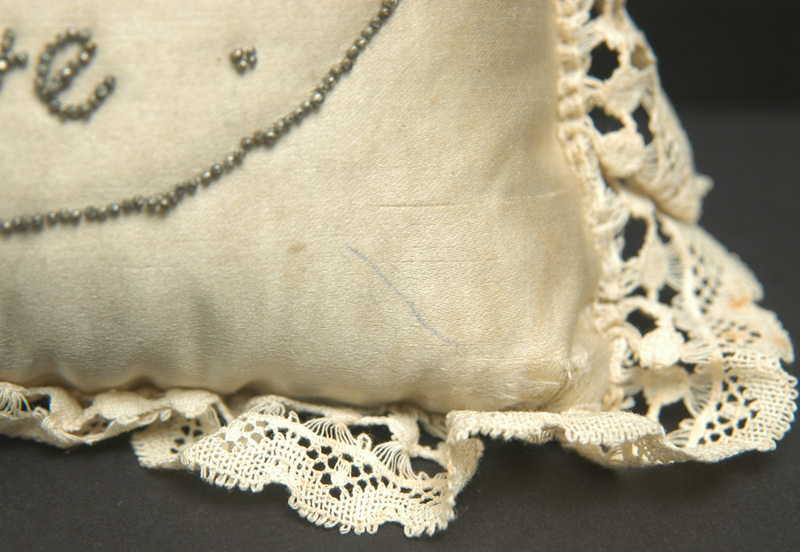 There are a few light rust stains to the tatted lace edge. The reverse has scattered pinholes and rust stains. There is a small round adhesive collection label on the reverse. Easily removed if you want to--but these collection labels generally add to the value because they show that someone had the piece in a collection. I've tried to show you the condition with very detailed images below. 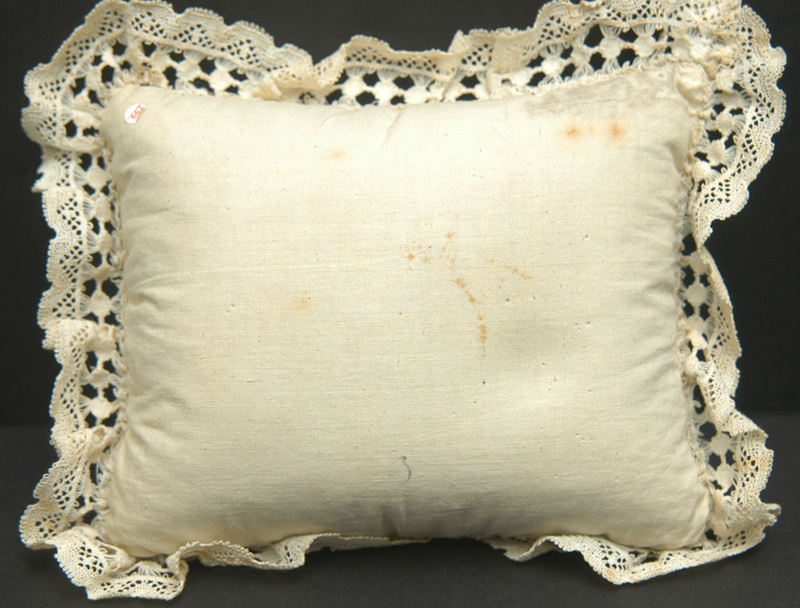 But remember these are very small apologies and this pillow is in very good condition considering the age of these fragile and rare objects. Circa 1st half of the 19th century. What a great baby gift!